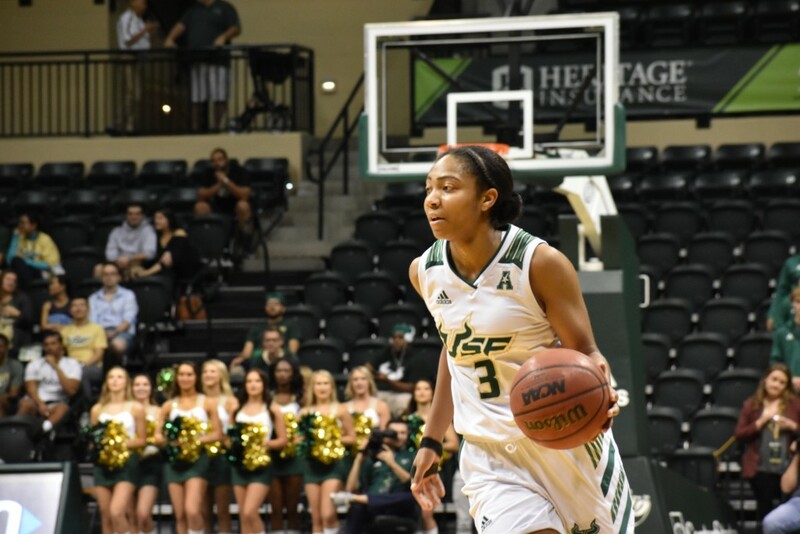 Sydni Harvey led the way in USF women’s basketball (11-7, 2-2) defeat of Tulane (13-5, 3-2) on Saturday afternoon at the Yuengling Center. The freshman scored a career-high 25 points in the Bulls’ 73-46 victory in front of an announced crowd of 2,616. Joining Harvey in double-digit scoring were a trio of Bulls — Enna Pehadzic (21), Shae Leverett (13) and Tamara Henshaw (10). Leverett added 12 rebounds to earn her third double-double of the season. Pehadzic made her presence known all around the court, contributing to her team on both sides of the ball. In addition to scoring a career-high in points, she broke her record for most three-pointers made in a game, finishing 5-of-10 from downtown. Defensively, she added eight rebounds and two steals. The Bulls only had eight players suited up for this game, as Alyssa Rader was out again. Even without their leading rebounder, the Bulls defense still showed, forcing 18 turnovers and securing 22 defensive rebounds. Pehadzic and Leverett each wore bandages on their face after colliding with each other during practice on Thursday. Considering USF only had eight active players, there might have been a fear of an already injured team suffering yet another setback. “I am happy it happened to me and Shae, because we just laughed it off,” Pehadzic joked. Moving forward, the Bulls play Memphis at home Wednesday in another AAC matchup. 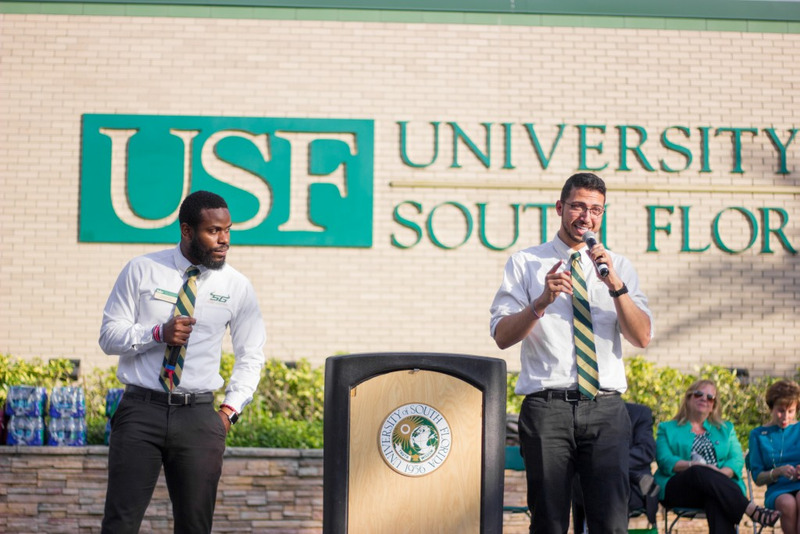 They feel motivated to prove their worth with all the injuries USF has suffered.